Obtain all the relevant and available information and make a recommendation that is appropriate in terms of your clients’ needs and circumstances. If advisors fail in this basic requirement, the outcome can be quite expensive. This was the case in a recent FAIS Ombud determination. 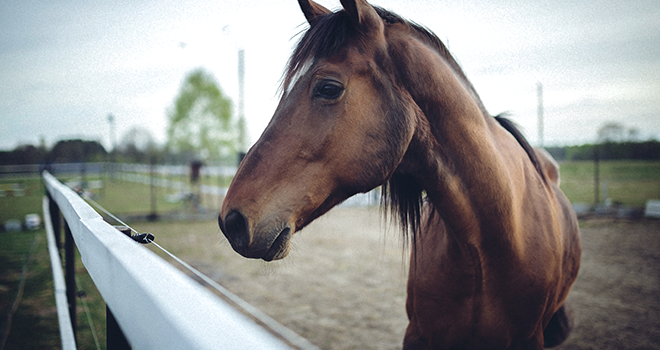 The complainant, whose core business is the breeding of horses and supply of grass feeds, sought advice from the respondent to appropriately insure, amongst others, the lives of his breeding stock. Following the loss of a pregnant mare, the complainant duly submitted a claim to the insurer. The claim was rejected on the grounds that the complainant did not have the required cover in place – cover that the complainant had been under the impression had been procured by the respondent. The complainant specifically indicated that the horses should be covered for breeding purposes. Subsequent to the meeting in April 2016, the complainant was provided with a quotation via e-mail by the respondent, which, amongst others, confirmed that each horse would be covered for R200 000. The complainant duly accepted the cover. On 8 September 2017, a pregnant mare suffered health complications, and euthanasia was performed on humane grounds. The complainant submitted a claim to the respondent for the death of the mare. Following submission of the necessary veterinary reports, the claim was rejected on the basis that the loss did not fall within the ambit of the policy. The respondent advised that the complainant held an agricultural policy, in terms of which cover is only provided for the death of an insured animal caused by fire, lightning or explosion. The policy held by the complainant did not provide “life insurance” on his horses. The policy was based on pre-determined perils. The complainant was aggrieved with the outcome, as he claimed to have specifically instructed the respondent to provide life cover for his horses. He had been under the impression that the respondent had adequately provided for this cover after having insured the horses for business use. The complainant claimed to have never been informed that the insurer does not provide cover on the life of the animals and that it only provided short term insurance cover. The respondent provided limited documentation to the Ombud’s Office. Most importantly, no record of advice was provided. The e-mail, containing the quotation for the various items the complainant requested, makes no reference to the limitation of cover; specifically that the horses will only be covered for fire, lightning and explosions. What was stated is the following: “Lewende Hawe 10 Perde waarde R200 000 elk” (Livestock 10 horses value R200 000 each). Despite numerous attempts made by the Ombud’s office to resolve the matter, the respondent failed to appreciate that the recommended policy was not appropriate to the complainant’s needs and circumstances. The respondent should have made provision for a mortality policy for the horses instead of having insured the horses as stock in terms of agricultural policy, which would have adequately addressed the complainant’s needs and circumstances. The Ombud found that the respondent failed in his duty to ensure that the complainant is adequately ensured. A contractual relationship to render financial advice existed between the complainant and the respondent. It is clear that the respondent failed to comply with the provisions of the Code that require a Financial Services Provider, after having obtained all relevant and available information, to make a recommendation that is appropriate in terms of the complainant’s needs and circumstances. The respondent was unable to recommend a suitable product, as he did not have the required expertise and/or access to suitable cover. The respondent was out of his depth and as a result, failed to conduct the financial service in accordance with the required due skill care and diligence as provided for in section 2 of the Code of Conduct. The respondent had failed to provide this Office with documentation showing compliance with section 9 of the Code, read in conjunction with section 3 (2), which requires that a provider must maintain and keep a record of the advice furnished to a client. This record must reflect the basis on which the advice was given, a brief summary of the information and material on which the advice was based, the financial products considered and the financial product ultimately recommended, together with an explanation of why the product selected is likely to satisfy the client’s identified needs. The aforesaid documentation is relevant in determining whether the provider has complied with the provisions of the Code and discharged his duty of care towards the client. The Ombud found that the respondent acted contrary to his duties as required in terms of the Code. As a result, the respondent was ordered to pay the complainant an amount of R180 000. This determination highlights applicable case law which details the obligations and duties of an advisor to exercise reasonable care to ensure that an insured is appropriately covered, obligations and duties which are encapsulated in the Code of Conduct. Click here to download the FAIS Ombud determination.